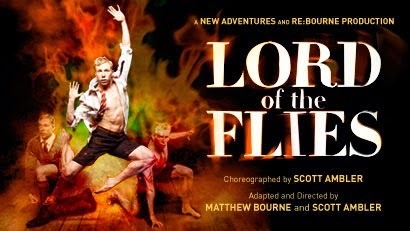 It's been over sixty years since William Golding's Lord of the Flies first captivated audiences and in true Matthew Bourne style, this new production gives new life to this haunting tale. The iconic story of schoolboys lost on an island and the total loss of civilisation as order breaks down is retold in this reincarnation. Bourne's production plucks the action from a deserted island and transplants it into a deserted theatre. Instead of the conch shell, the boys use a discarded drum mallet as their symbol of power with the boys using it effectively to tell tales. While the cast bring a raw, primal emotion to the piece, the re-setting in a deserted theatre does lack the menace of the desert island and, although the sound design is superb, its tropical overtones often jar with the industrial set. Lez Brotherston's enigmatic set provides the boys with a cornucopia of playthings with clothes rails springing to life and discarded wicker baskets transformed into a car, dining table and, particularly effectively, a rollercoaster. However, what makes Lord of the Flies' particularly enthralling is not just Brotherston's tremendous set but also Bourne's ambitious casting of a young, local ensemble. 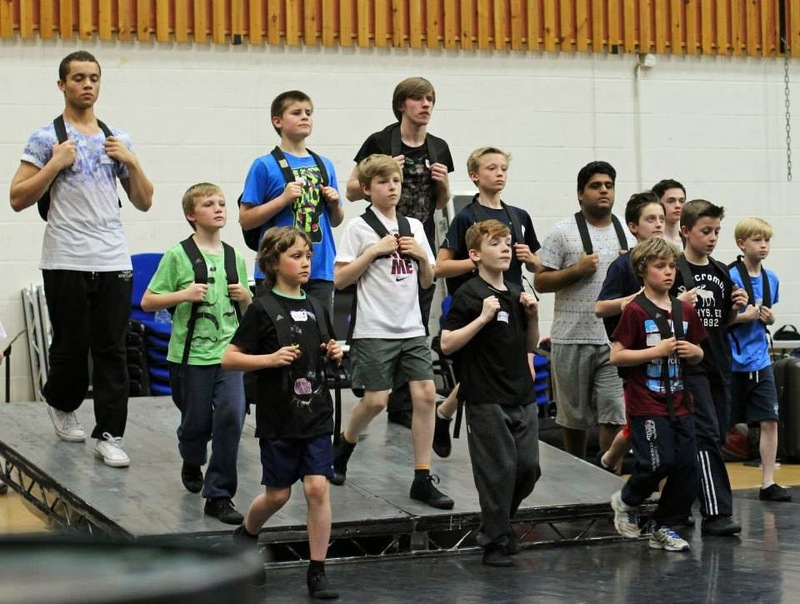 Twenty-two boys and young men from across central Scotland, aged from 9 to 25, have trained hard learning detailed routines for this unique opportunity to perform with the New Adventures company. For this alone the production deserves plaudits as this once in a lifetime chance could be uncovering the future stars of dance. As Jack, Danny Reubens exudes darkness with his blood streaked chest bared and mouth twisted into a battle cry. He stalks the other boys bringing an edge to the piece whenever he is on stage. Sam Plant encapsulates the downtrodden Piggy expertly with Dominic North's Ralph providing the human, empathetic foil to the menacing Jack. Meanwhile Layton Williams' emotional dances provide moments of reflection in amongst the chaos and hubbub of the full ensemble pieces. With the entire ensemble on stage there is barely enough room for them all and some of the opening is lost to the commanding proscenium arch of the Theatre Royal. At the end of Act One, the untethered macho force is in full spate and the all-male cast electrifies the stage as a haunting pig's head glowers over the audience. The intensity increases throughout Act Two with the schoolboys transformed into almost unrecognisable savages. Where the piece does fall down slightly is by coming to a sudden and almost confusing end that leaves the audience seeking a little more meaning. However, what Matthew Bourne has created transcends a piece of dance as this experience will have ignited a fire in the 22 chosen few and that is worth more than any stars at the top of review.